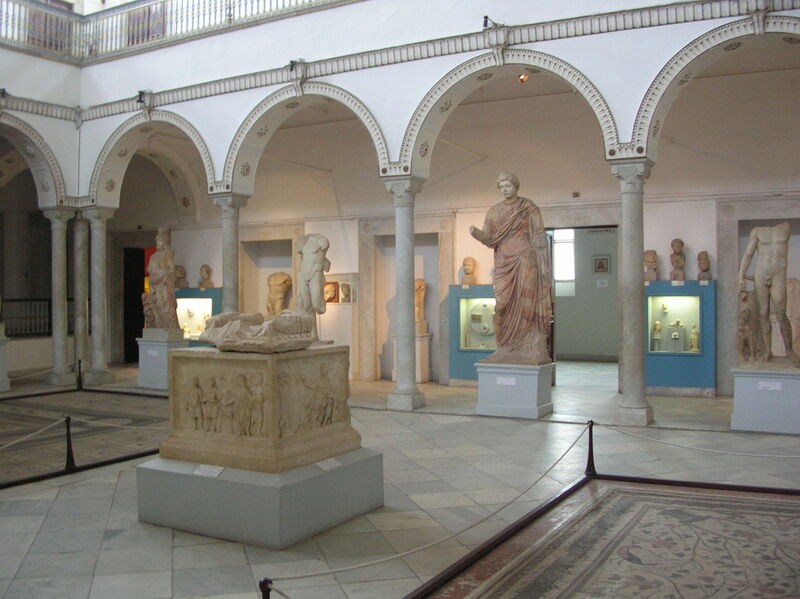 The BBC is reporting that 19 people, including 17 museum visitors have been killed in an attack at the Bardo Museum in Tunis. Many other visitors were trapped in the museum. No group has claimed responsibility yet, but two gunmen were killed, and there may be some involved in the attack still on the run. This museum is one of the major cultural institutions in Tunisia. It contains roman mosaics, antiquities from ancient Greek civilizations, and Islamic art. Following the events in Tunis yesterday, like the rest of the world community, I am devastated beyond words. The Tunisian president, Beij Caïd Essebsi, last night in his conversation with France 24, has linked the attacks to Ansar-Al Sharia and its “terrorist sleeper cells, ‘jihadistes salafistes”. The attackers have been identified as Tunisian. A few issues to clarify. France Info and France 24 have been reporting events from the very beginning amidst the confusion. The reports of the Parliament being stormed, barrage of shots exchanged, Parliament evacuated, hostage situation at Musée Bardo, raising death toll, a female minister tweeting, commando action. Like many, my view was that it was a deliberate and isolated attack targeting foreigners, in order to destabilise the new Laïk government, before the Easter season started. As tourism is the main source of Tunisia’s income, it’s paramount for the new government to secure the return of tourist Euro currency and reduce an endemic unemployment. After speaking to my contacts in Tunis, the local verdict is that the gunmen initially set out to storm the Parliament, in the middle of passing an important anti-terrorist bill. By unsuccessfully trying to disarm the government security forces, the shots were exchanged and the terrorists were chased out of the Parliament side of the Bardo Palace. As it is one building, the terrorists run into the Museum part, just as buses were dropping tourists off, where the hostage situation and killing spree ensued. Commandos were sent in which could perhaps explain the death toll and speedy resolution of the hostage situation. We are yet to see what has truly happened in Bardo. If the ‘locals’ are to be believed, this is an accidental and botched rather than planned and targeted attack on the Museum and foreign tourists. That’s some great firsthand perspective. Many thanks for sharing. Perhaps the lesson is that terrorists will do their worst on the most convenient target, which happens in some cases if they are swayed from their primary target.